In addition to his legitimate son (Napoleon II, who appears in Napoleon in America), Napoleon had two stepchildren and at least two illegitimate children. In the first of a two-part post about Napoleon’s children, I focus on his stepchildren: Eugène and Hortense de Beauharnais. When Napoleon married Josephine in 1796, she already had two children: Eugène, born on September 3, 1781; and Hortense, born on April 10, 1783. Their father, Alexandre de Beauharnais, was executed in 1794 during France’s Reign of Terror. Like his father and his stepfather, Eugène became a soldier. He served as an aide-de-camp to Napoleon during the Italian campaign and in Egypt, where he was in the uncomfortable position of having to witness Napoleon’s affair with Pauline Fourès. In 1802 Eugène was promoted to general, and, in 1804, he became a Prince of the Empire. 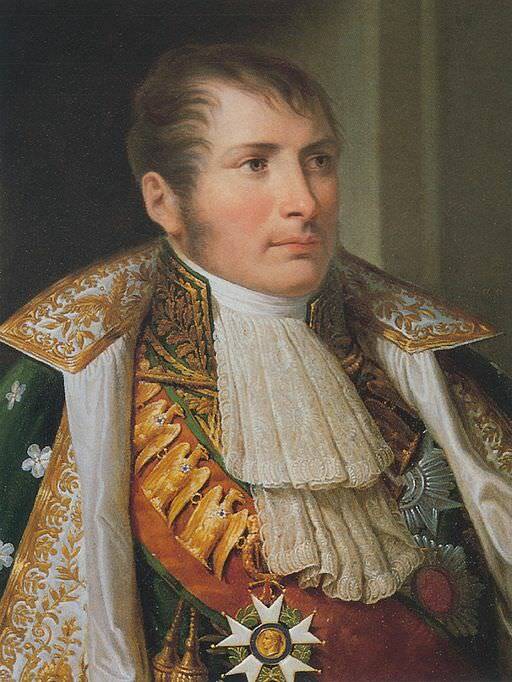 In 1805, when Napoleon was crowned King of Italy, he appointed Eugène as his viceroy. Though Napoleon was genuinely fond of Eugène and considered him the most capable and reliable member of his family, he did not spare him from the micromanagement to which he subjected all of his appointees. Something of the flavour of their relationship can be gleaned from this exchange in August 1805. I cannot find words to tell you how displeased I am at your behaviour in expressing an opinion concerning my conduct; this is the third time in the space of one month. You had no right to mangle my laws concerning the finances of Italy (they bore my signature) and to make others. … What is the good of my writing you advice if you have already made up your mind to act before you get my reply? If you value my esteem and my affection you must never, under no pretext whatever (no! not even if the moon threatens to fall upon Milan), do anything which lies outside your province…. Do not be afraid that this little incident will prevent me doing justice to your fine qualities; I want to keep my good opinion of you…. Your Majesty’s birthday was kept yesterday throughout your kingdom. I was delighted to see the genuine enthusiasm displayed by the Milanese. … However, I could not forget that Your Majesty was displeased with me; and I was certainly, although I entered heart and soul into their rejoicings, the saddest of all those who kept the fête of Saint Napoleon. Searching for a suitable wife for Eugène, Napoleon settled on Princess Augusta Amelia of Bavaria, who was already engaged to Crown Prince Charles of Baden. To persuade Augusta’s father of the wisdom of breaking that engagement, Napoleon made Bavaria a kingdom. He also offered Eugène’s second cousin Stéphanie de Beauharnais as a wife for Charles of Baden. To sweeten the deal for the latter, Napoleon officially adopted Stéphanie on March 3, 1806, named her a French princess, and provided her with a rich dowry and trousseau. On January 12, 1806, Napoleon officially adopted Eugène de Beauharnais. Eugène renounced any rights to inherit the crown of France, but was added to the line of succession to the Italian throne. Two days later, Eugène and Augusta were married. They had a happy marriage and produced seven children, six of whom lived to adulthood. Eugène’s children married into the royal families of Portugal, Sweden, Brazil and Russia. Eugène administered Italy well and distinguished himself commanding the Italian forces during the 1809 campaign. He also served admirably during the retreat from Moscow, when he had to replace Napoleon’s brother-in-law Joachim Murat as overall commander. Despite entreaties from his father-in-law to join the coalition against France, Eugène remained faithful to Napoleon and fought to keep the Austrians out of Italy in 1813-1814. Eugène became the Duke of Leuchtenberg and the Prince of Eichstädt. He lived as a Bavarian prince, managing his fortune and his estates. Eugène de Beauharnais died on February 21, 1824 in Munich, at the age of 42, from a series of brain hemorrhages. He is buried in St. Michael’s Church, Munich. Eugène’s sister Hortense was 13 when Josephine married Napoleon. Hortense was sent to Madame Campan’s school at St. Germain, near Paris. Napoleon’s sister Caroline Bonaparte was also a student there, as was Hortense’s cousin Stéphanie de Beauharnais and James Monroe’s daughter Eliza. By 1810 Hortense and Louis were largely living apart. She began a relationship with Charles de Flahaut, who was rumoured to be Talleyrand’s illegitimate son. In September 1811, Hortense secretly gave birth to Flahaut’s son, Charles Auguste Louis Joseph, the future Duke of Morny, in Switzerland. Only Eugène, de Flahaut’s mother (who raised the child) and Hortense’s closest companions were aware of the pregnancy. Like Eugène, Hortense remained part of the Imperial court even after her parents’ separation and Josephine’s death in 1814. After his final abdication in June 1815, Napoleon stayed at Malmaison with Hortense while he arranged for safe conduct to Rochefort. It was there that Hortense gave Napoleon the diamond necklace that Louis Marchand pulls out in Napoleon in America. With the return of Louis XVIII to France, Hortense was compelled to go into exile. In 1817, she moved to the estate of Arenenberg in Switzerland, where she devoted herself to the education of her sons and entertained in her Parisian-style salon. Hortense was a talented singer, pianist and composer. There is a lovely video of soprano and pianist Paula Bär-Giese performing some of Hortense’s songs at Arenenberg. Hortense de Beauharnais died at Arenenburg on October 5, 1837, at the age of 54. She is buried next to her mother in the Saint-Pierre-Saint-Paul church in Rueil-Malmaison. Barry E. O’Meara, Napoleon in Exile: or A Voice from St. Helena (Philadelphia, 1822), p. 116. Violette M. Montagu, Napoleon and his Adopted Son: Eugène de Beauharnais and His Relations with the Emperor (New York, 1914), pp. 124-126. Marie-Anne Adélaide Le Normand, Historical and Secret Memoirs of the Empress Josephine, translated by Jacob M. Howard, Vol. II (Philadelphia, 1848), p. 309. Napoleon and his Adopted Son, p. 375. Laure Junot, Memoirs of the Duchess d’Abrantès (New York, 1832), p. 212. Emmanuel- Auguste-Dieudonné de Las Cases, Mémorial de Sainte Hélène: Journal of the Private Life and Conversations of the Emperor Napoleon at Saint Helena, Vol. II (London, 1823), pp. 306-307. John S.C. Abbott, Confidential Correspondence of the Emperor Napoleon and the Empress Josephine, (New York, 1857), p. 168. Françoise de Bernardy: La reine Hortense. and: Eugene de Beauharnais. Constance Wright: Daughter to Napoleon. In German: Prinz Adalbert von Bayern: Eugene de Beauharnais. Obviously, there have been piles of books written about brother and sister, mainly in French. But also in German. Hope that this may be useful to some. Concerning Stephanie de Beauharnais, there is also a book about her, written by Françoise de Bernardy: Stephanie de Beauharnais. Thanks for these recommendations, Irene. Hortense was also an artist, though according to the Italian catalogue of the Charlotte exhibition, which illustrates some of her work, it is rare. I have a very small engraving by her of the Chateau d’Arenenberg. At one stage she organised a lottery of pictures belonging to her. Her steward wrote to Henriette offering her tickets. If you bought twelve you got an extra one free. The outcome does not appear. Very interesting, Geoffrey. I’ve never seen any of Hortense’s artwork. Thanks for alerting me to it. A little bit of culture in our daily chaotic madness. 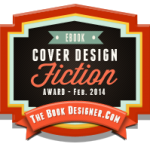 I am very interested in all things Regency and Napoleonic and would like to subscribe by email if I may. Thanks, Annabel. I’ve just added you to the email list, so you’ll receive updates when I post new articles. Fascinating post. I am eagerly awaiting the post on Napoleon’s illegitimate children. I have never read anything about them. Thanks, Karen. The post on his illegitimate children is now up, and I’m glad to see you found it. This article is so interesting. It made me realise there are many sides to Napoleon as history books only portray his leadership skills. I often wondered what happened to Josephine and was enlightened when reading. Thanks, Michelle. I’m glad you enjoyed the article. Great article. I recently discovered the performances of Paula Bär-Giese as well. They are lovely. Listening to them gives you the feeling of being in the 1800s. She performed some of the songs at ‘t Loo, the Dutch palace Louis inhabited occasionally. Partant pour la Syrie was the unofficial anthem during the Second Empire. Between all these male composers that dominated the 1800s, there is Hortense’s composition that was a standard during the nineteenth century. I find that fascinating. Thanks, Pim. I love watching Paula Bär-Giese perform. It is impressive that Hortense’s composition was so popular in the 19th century; a shame that it’s not better known now. I believe Napoleon’s male genealogical descendants still exist through the Walewski branch. Napoleon had an illegitimate son through his mistress Marie Walewska, Alexandre Florian Joseph Colonna-Walewski. Alexandre played a prominent position in Napoleon III’s regime. He was married twice but only has male descendants through the illegitimate son he had with his mistress, Rachel Felix. Thanks, David. 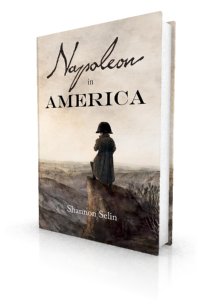 There’s more about Alexandre Colonna-Walewksi, as well as Léon Denuelle (through whom Napoleon also has descendants), in my article on Napoleon’s illegitimate children: http://shannonselin.com/2015/03/napoleons-children-part-2/. There has been some recent DNA testing in 2013 that is pretty conclusive that Napoleon Louis’s father was not Louis Bonaparte. Checkout Dr. Google. That’s also discussed in the comments on the post about Napoleon’s illegitimate children. Another explanation for the results could be that Louis was not Carlo Buonaparte’s son — though it’s probably more likely that Hortense (rather than Letizia Bonaparte) was unfaithful. 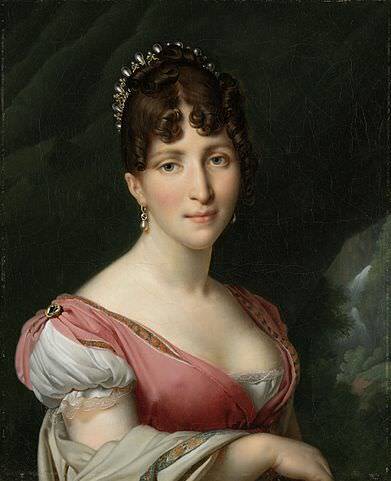 Rose Hortense-de-Beauharnais (Josephine Bonaparte) is my GGG Grandmother. How wonderful that you have that direct connection to Josephine, Hamish. My mother, my sister and myself owe everything to the Emperor. To us he has been a true father. In us shall he at all times find devoted children, submissive subjects.